What’s in a name? Well, a lot actually. Especially in this age of one-up-man-ship when so many find it important to have the right name on their gear. And where you bought it is just as important as what they bought to some. 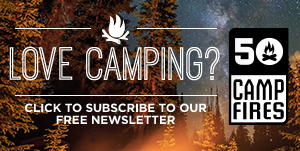 There was a time … not that long ago … when most family, car camping gear was purchased at a local hardware store. 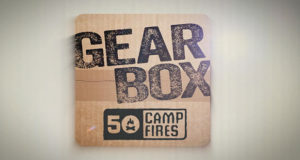 In fact, that gear is still out there, available, and often found at the best price at a local mom-and-pop shop. 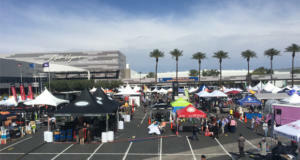 So the 50 Campfires crew went on the prowl at the recent National Hardware Show in Las Vegas. 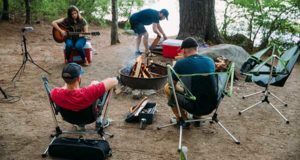 We came up with 19 legit innovations in camping equipment that you can buy right from your local, friendly hardware store. 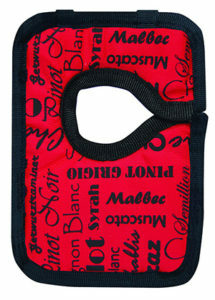 Do you enjoy a nice glass of wine while you relax in your favorite camping chair? Winerest makes this process a little bit easier. Using a single Velcro strap, it simply Velcros to the arm of your camping chair convenient to either hand. Let your glass rest in the hole of the Winerest and voila, it is safely locked in place. We’ve all faced the annoying need to bend down and dig around for cans in the bottom of the cooler. The BEN-NO-MO is a one-of-a-kind adjustable cooler stand, eliminating the need to hunch over and struggle to find what you’re looking for. 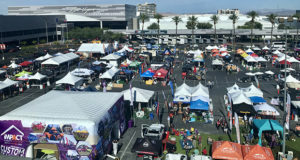 They call it the “first ever portable combination of a fire pit and grill.” Having a fire-pit and BBQ wrapped into one sounds like a great product for family outings, tailgating parties, beach parties, and of course camping! 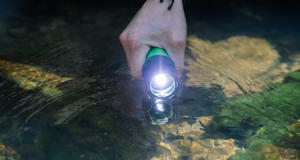 QuickFire is a safe and easy way to light a fire. 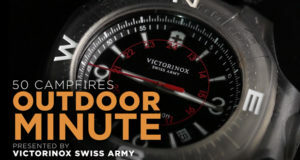 With its water-repellent properties, 10-minute burn time, and infinite shelf life, QuickFire is sure to be your new favorite fire-starting tool. 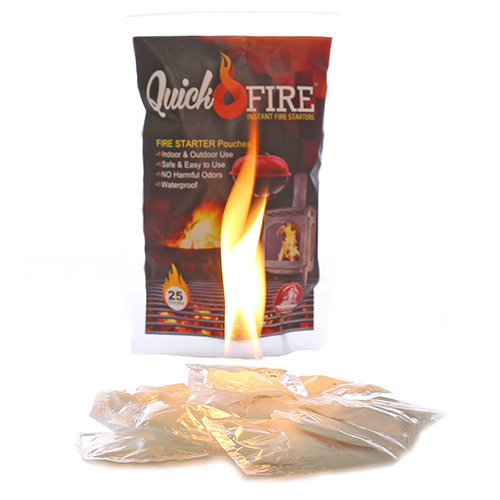 Use QuickFire to light campfires, fire pits, BBQ grills, charcoal briquettes, wood burning stoves, fireplaces or as a safe and reliable fuel source for cooking while camping or in emergencies. 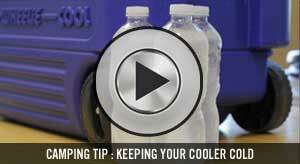 Keep all of your food fresh while avoiding a watered down cooler? Yes please! The Ice-Olate Cooler Tray was designed to help you avoid wasting your food and money. 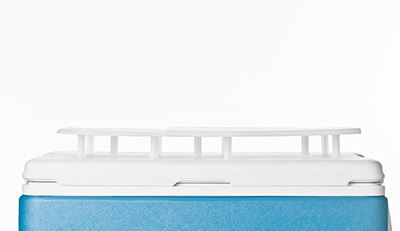 It keeps your cooler clean and everything right where it should be. No more digging through a cooler full of melted ice to grab that cold drink. We’ve all reached over to grab our once cold drink only to realize it’s now lukewarm. Worst moment ever. 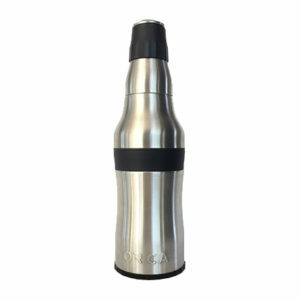 This two-in-one, 12-ounce bottle and can holder will keep your ice-cold beverage nice and chilly. The ORCA Rocket was built to make sure the last sip you take is just as refreshing as the first. You never know when you might get your vehicle stuck on the back roads. It’s wise to be prepared for anything. Bubba Rope is the original tougher, safer, kinetic energy recovery rope, developed for pulling off-road vehicles out of mud, sand, or snow. It stretches and actively uses its own kinetic energy to help you get your stuck vehicle back on track. 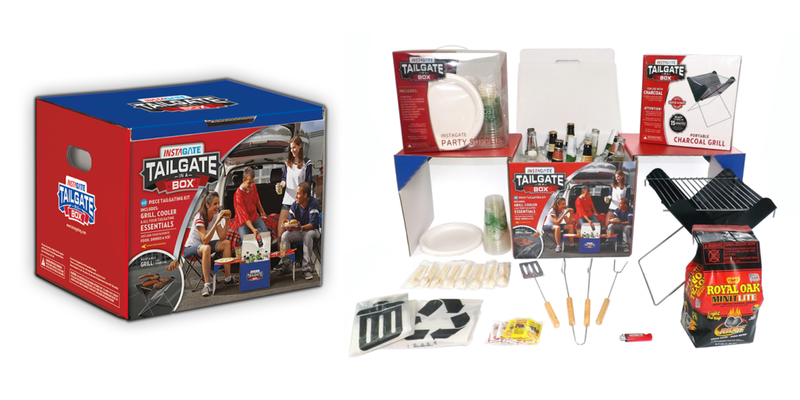 This product was invented to make even last minute tailgating stress free. You’re getting ready for game day, trying to shop, grab last minute supplies, and fight traffic. Don’t worry! Tailgate-In-A-Box has you covered with: a grill, a cooler, cups, napkins, plates, utensils, trash bags, and more! A complete redesign of the modern grill, the GoSun Grill is a fuel-free grill that can bake, broil, or fry a meal for up to eight people using only the sun. It requires no monitoring, there’s no dirty fuel, it goes everywhere, and it will cook your food evenly without drying it out. 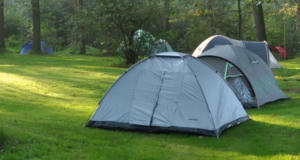 If you’re not well prepared, a buggy campsite can really put a damper on your weekend. 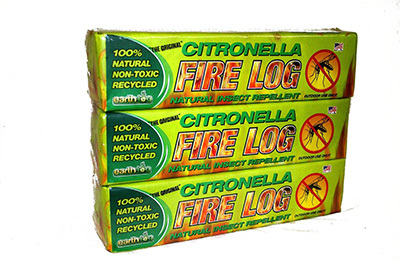 “The Original Citronella Fire Logs” are scented, clean burning manufactured fire logs. This three pack of Citronella Fire Logs will be a great way to enjoy a mosquito free outdoor experience at the campsite. 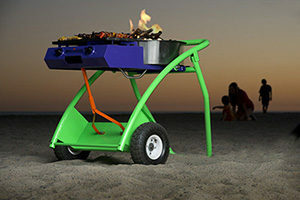 The Elevate Grill is the largest, most portable gas grill ever. 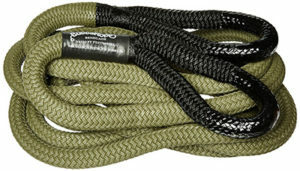 It’s a great option for anything from a beach grill out, tailgate party, or even some backyard grilling. 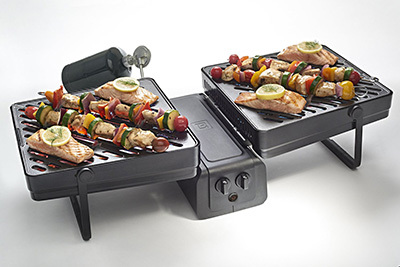 It’s a fairly lightweight option to alternative grills, featuring dishwasher safe, removable grease trays. 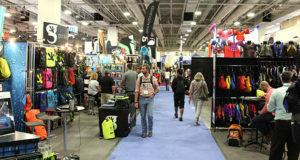 This lineup features a variety of bags and carrying tools that are all great options for transporting your essentials to the beach or campsite. All bags are functionally designed without compromising style. The Swurfer is considered “the revolutionary new swingboard reinventing the backyard swing.” It features a unique, curved shape, allowing you to soar through the air with more power, moves, and fun! It’s great for the littlest of kiddos looking for a calm swing or the bigger kids looking for more excitement! The Blademedic Knife Sharpener is a great first responder in the field for making repairs on all types of knife blades. 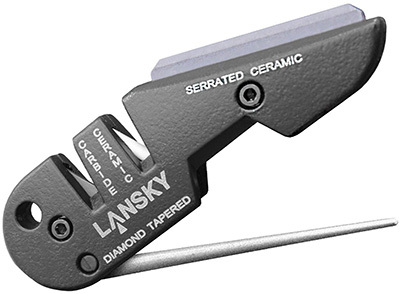 It’s basically the equivalent of having an entire sharpening kit right in your pocket- ready to tackle regular or serrated blades, gut hooks, hunting, fishing, and more. 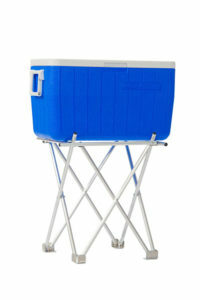 Ice retention on this cooler is 2-3 days, making it perfect for day adventures away from your basecamp. 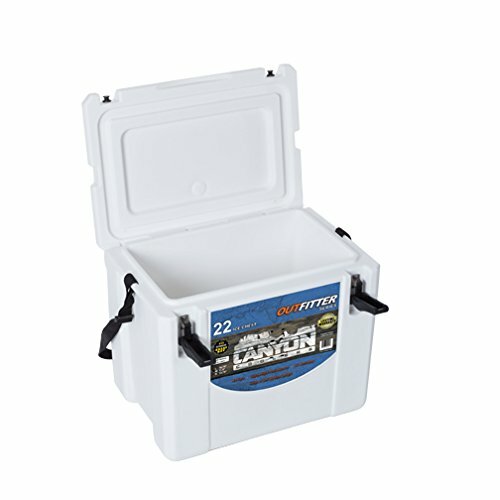 Backed by a lifetime warranty, this RotoMolded cooler is Grand Canyon tough. Sporting just the right balance of insulation, weight, and capacity, it has quickly become very popular with road warriors, fishing enthusiasts, or anyone needing a smaller, but equally tough ice chest. 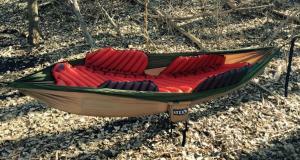 If you’ll be trekking into the metropolis of biters and skeeters this summer, the JungleNest Hammock is the perfect option to make sure you stay comfortable. 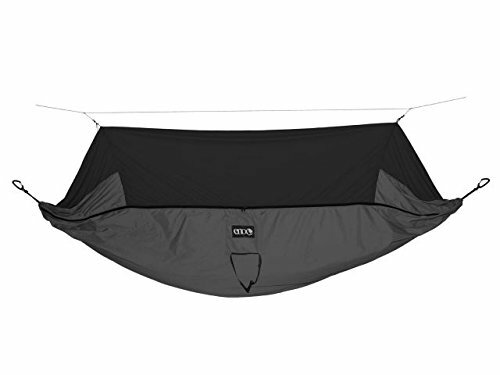 This hammock features a mesh cover, internal hanging loops, an organizer pocket, and height adjustment. 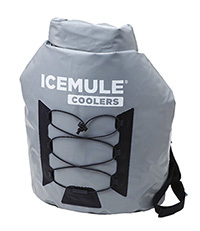 Considered the world’s most portable high-capacity cooler, the IceMule Pro is made to withstand anything from your most extreme adventures to your casual trips when you just don’t want to lug around a huge, hard, bulky cooler. 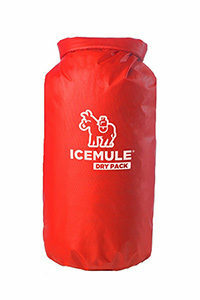 The IceMule Dry Pack is a great additional purchase designed to fit inside your IceMule Pro, preventing the dreaded wet sandwich situation we are often stuck with. 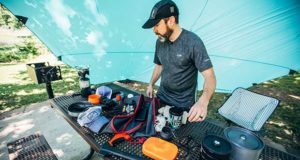 The IceMule Dry Pack is a great additional purchase designed to fit inside your IceMule Pro, preventing the dreaded wet sandwich situation we are often stuck with. Plus, the Ice Mule’s watertight roll-top closure and side release buckle make it easily accessible and the padded back-strap system makes it highly portable. The Shady Breeze is a collapsible outdoor chair with a built in canopy and a two-speed fan. 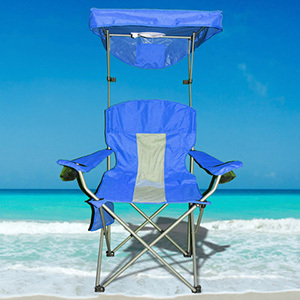 This chair is a great option for when you need portable and convenient shade for outdoor use in any situation. The Expedition Hatchet has a compact head with a little bit of a longer handle, providing more versatility than the average hatchet. 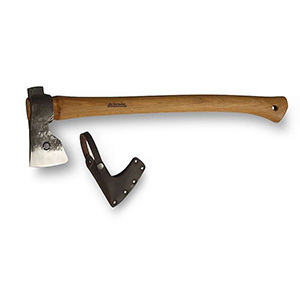 These axes are forged from Swedish Carbon specially alloyed steel. 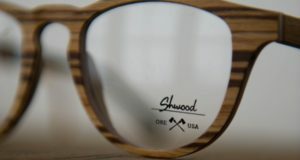 They are delivered with a vegetable tanned, locally produced, leather sheath and the handles are made from American Hickory. All axes feature a 20-year warranty. 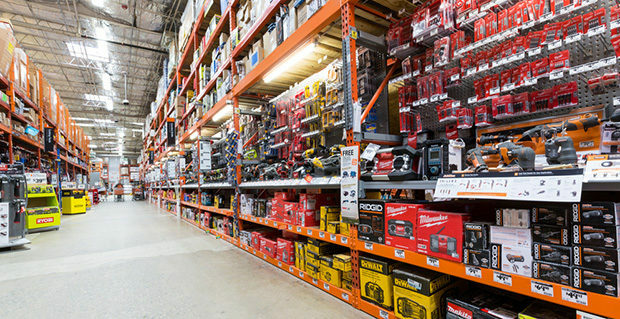 Camping Gear from the Hardware Store – that’s Great Hardware!